In Summer Club, we will be working with all four papers in Seasonal Expressions! This helps you budget your scrapbooking purchases. At the end of club, you will have twelve 2-page layouts completed! 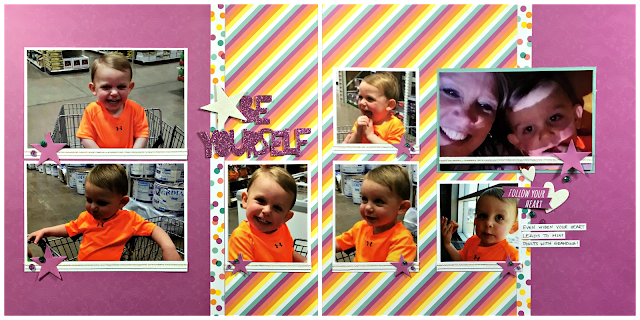 We will create three 2-page layouts each month. 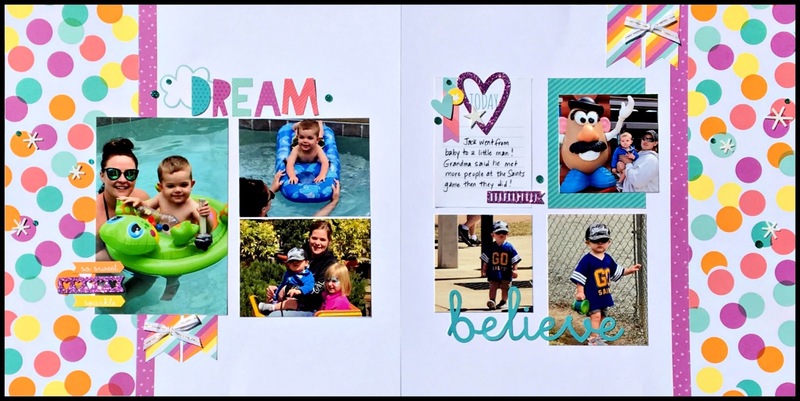 You will receive Memory Protectors for all your pages, and you will also use Cricut cuts, stamping, and Flip Flaps on some of your layouts! Everything is pre-cut in Summer Club! In August, you will receive a gift certificate for $10 to purchase whatever you'd like! Each month is a flat fee of $36. If you like the stamp of the month, $30 of this will count toward your stamp of the month purchase! Here are the dates. Each class is at 6:30 pm in my home. Now, I know summer can be very busy! If you are not able to make it to class, I will just collect your payment and hold your class until the next month. Long distance? I will bill you monthly, and I will mail the kits twice. I will send May and June pages in June, and I will send July and August in August. This will save you $14 in shipping costs. If you'd like to pay for the whole summer club at once, the cost is $144 plus $10 for shipping. I will mail all four kits mid-July along with your $10 gift certificate. This is an excellent way to keep up with your scrapbooking during the summer months! You are going to be taking a lot of photos in the coming months, and this will help you get those photos off the phone or camera and on to pages!! I am so excited about that!! Just E-MAIL ME if you'd like to join in the fun! 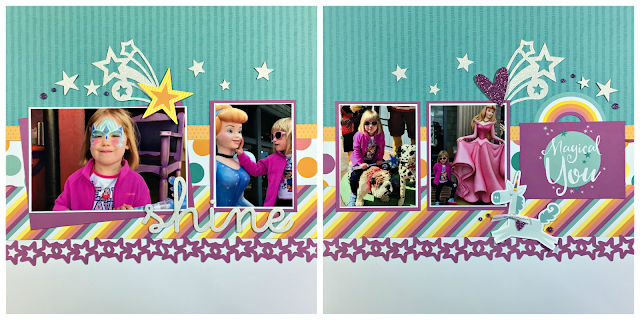 Here's a look at June's Little Dreamer Workshop. As you can see, it's not just about girls!